After three decades of housing reform in China, housing assets constitute a sizable share of family wealth but are distributed unevenly, as registered homeowners are predominantly male. This is partly because males generally have higher incomes than females and can therefore contribute more to the financing, but also because males receive more intergenerational transfers. 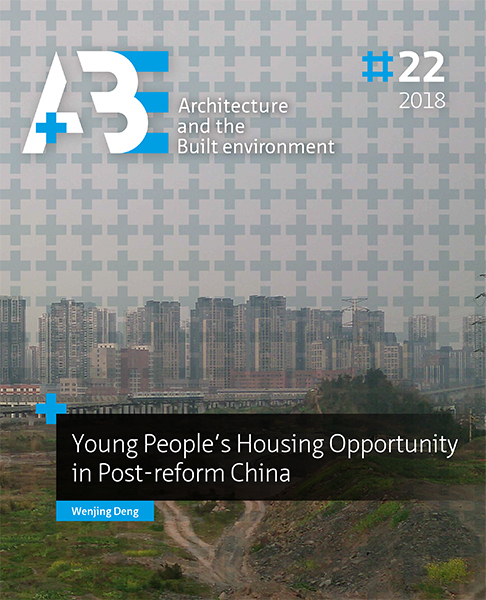 On the basis of 31 in-depth interviews from Chongqing, this article seeks to answer two questions: 1) How and why does the gender of the recipient affect the negotiation of intergenerational transfers? and 2)What are young women’s possibilities to accumulate housing assets? The research findings show that young women either ask their parents for help to secure housing assets before marriage or they attempt to co-own a home with their husbands after marriage. Women who do not succeed in either of these strategies do not accumulate housing assets and thereby risk their rights to the home if their marriage is dissolved. DENG, Weijing. Why Women Own Less Housing Assets in China? The Role of Intergenerational Transfers. A+BE | Architecture and the Built Environment, [S.l. ], n. 22, p. 119-140, dec. 2018. ISSN 2214-7233. Available at: <https://journals.open.tudelft.nl/index.php/abe/article/view/3518>. Date accessed: 26 apr. 2019. doi: https://doi.org/10.7480/abe.2018.22.3518.